The Top Choice Awards is honoured to announce that Dorval Physiotherapy and Wellness has been voted the Top Physiotherapy Clinic in Oakville for 2018 for consistent excellence in the pursuit of total customer satisfaction. The results were collected during the 2018 Top Choice Awards Survey, which asked respondents to nominate and vote for their Top Choice in a variety of categories based on quality, service, image, value and professionalism. It’s clear that whenever people have the choice, they prefer to deal with businesses and professionals who are trusted by consumers. 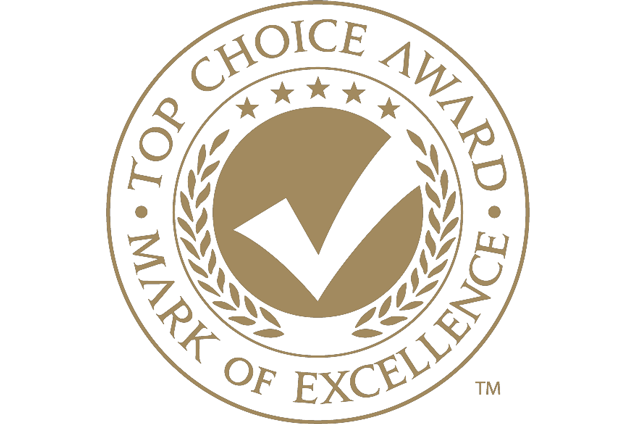 The Top Choice Award is the Mark of Excellence proudly worn by today’s leading businesses and professionals, representing the trust and loyalty that they have earned from the people they serve.